KHAN AL-AHMAR, West Bank — The Palestinian government brought foreign diplomats to a school in a strategic area of the West Bank on Wednesday to seek international protection against what it warned is a renewed demolition threat from Israel. The Italian-funded school for Bedouin children has become a symbol of the battle over the 60 percent of the West Bank, known as Area C, which remains under exclusive Israeli control and is home to dozens of Israeli settlements. 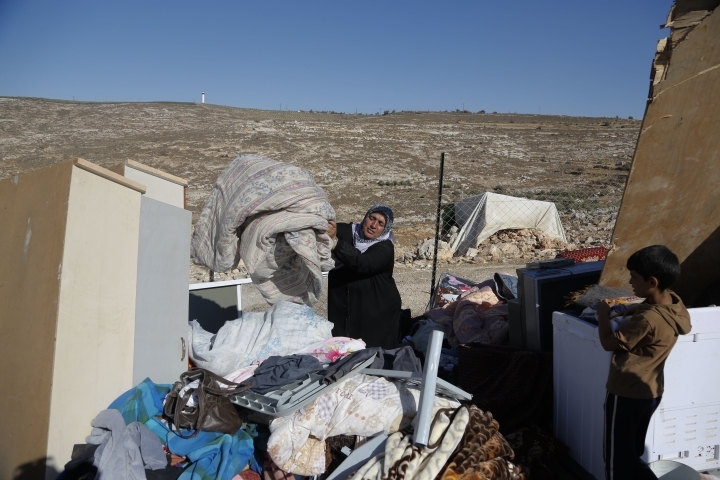 Severe Israeli restrictions on Palestinian development in Area C, including a recent rise in demolitions of homes and emergency shelters, have led to diplomatic tensions. Many of these structures are funded by the EU, which says the projects are needed for humanitarian reasons and economic development. 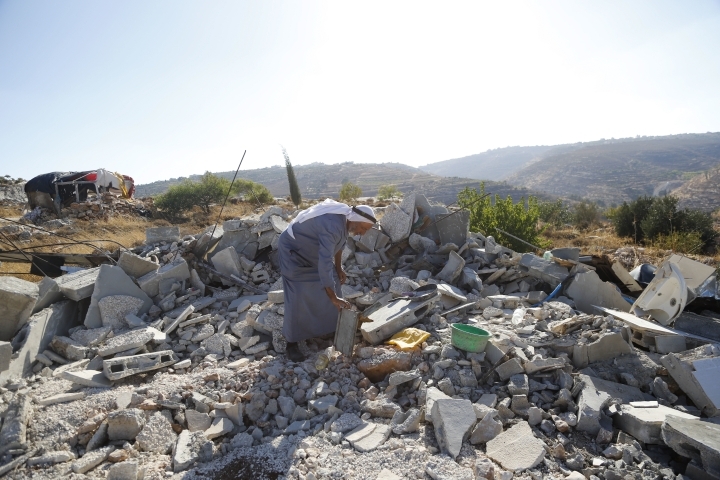 In the first six months of 2016, Israel demolished or confiscated 91 structures funded by the EU or its member states, more than in all of 2015, the EU said. Since 2009, close to $3 million worth of shelters have been demolished, confiscated or are under threat of demolition. The EU said last week that Israel must "cease the policy of settlement construction and expansion, of designating land for exclusive Israeli use and of denying Palestinian development." The statement said such a policy erodes chances of setting up a Palestinian state in a peace deal and "raises legitimate questions about Israel's long-term intentions." Israeli Foreign Ministry spokesman Emmanuel Nahshon said that any aid to the Palestinians in Area C must be coordinated with Israel. "We are aware that they carry out projects to assist Palestinians, but that doesn't exempt them from the need for coordination and to receive permits," he said. He said Israel is committed to establishing a Palestinian state under a peace deal. "We are more than willing to negotiate with the Palestinians and have been waiting for the Palestinians," he said. Israel captured the West Bank, Gaza Strip and east Jerusalem in the 1967 Mideast war. As part of interim peace deals in the 1990s, the West Bank was carved up into autonomous Palestinian areas — A and B — and Area C, which is home to nearly 400,000 Israeli settlers. The arrangement was meant to be temporary, but remains in place after negotiations on the borders of a Palestinian state in the war-won lands broke down repeatedly. The Palestinians seek all of the territories captured by Israel in 1967 for a future independent state. They say that Area C, home to an estimated 150,000 to 200,000 Palestinians, is crucial to a future Palestine's economic development. The last round of U.S.-brokered peace talks broke down two years ago without any progress. In the meantime, Israel continued to expand settlements while limiting Palestinian development, according to Palestinian and international critics of Israeli policy. The EU says it is "virtually impossible" for Palestinians to get building permits in Area C. It said just a handful of more than 100 masterplans for Palestinian communities in Area C have been approved. The school in the Bedouin encampment of Khan al-Ahmar was built in 2009 with Italian government funding to serve 162 students from five nearby communities who previously took long bus trips to schools in the Palestinian towns of Jericho and Izzariyeh. Israel issued a demolition order the same year, saying the school, made of used tires and mud brick, had not received a building permit, said Shlomo Lecker, the attorney for the Bedouin communities. The school is located near the Israeli settlement of Kfar Adumim, in the heart of the West Bank and midway between Jerusalem and the Jordanian border. 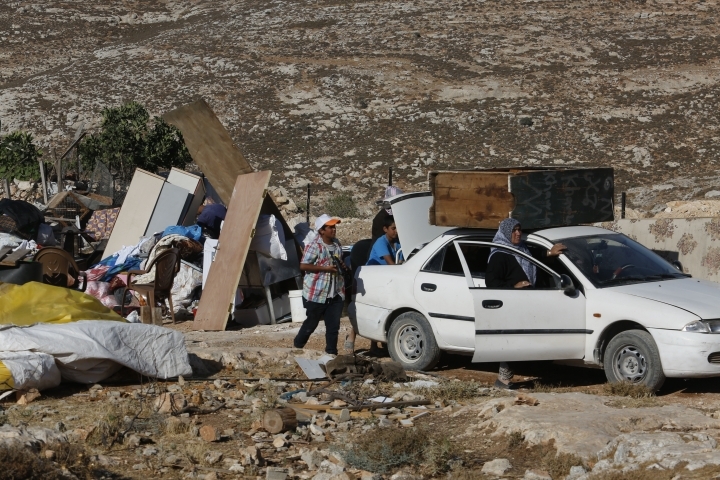 Lecker said Kfar Adumim settlers petitioned the Israeli Supreme Court four times, mostly recently four months ago, to order the Israeli military to carry out the demolition order. He said another court hearing is set for next week. Lecker said demolition fears were revived by reports that an Italian diplomat was told by Israeli officials in a recent meeting that the children from the Khan al-Ahmar school should register for the new school year in the town of Izzariyeh. Cogat, the Israeli defense body responsible for issuing permits, said the building was built without proper approval. "The petition filed for this matter is still pending, and the government's position will be delivered as part of its response to the petition in regards to the future of the school," it said. The education minister of the Palestinian autonomy government, Sabri Seidam, visited the school on Wednesday to draw attention to a possible demolition. "We have invited the international institutions and diplomatic missions here to see by themselves the crime of the decision of removing and demolishing the school, and to help us in protecting this school and boosting the steadfastness of the people," Seidam said. Those attending included representatives of the EU, the U.N. and South Africa. Associated Press writers Tia Goldenberg in Jerusalem and Karin Laub in Ramallah, West Bank contributed reporting.